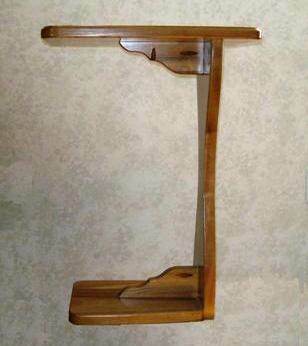 A small accent table or display stand can be used in so many ways. 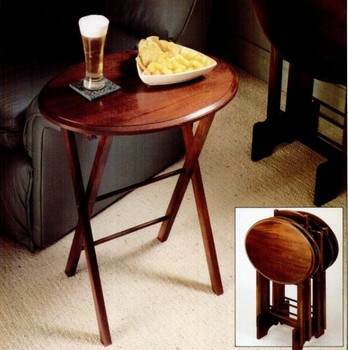 It can be a permanent area to exhibit a beloved collection or an occasional table to use for parties and entertaining. 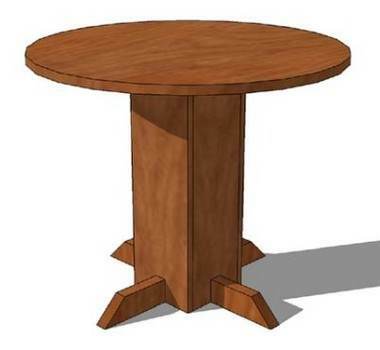 With accent table plans there are an infinite number of styles and designs. Choose square, rectangular or round styles to blend with existing decor or to add a bit of punch to your room. 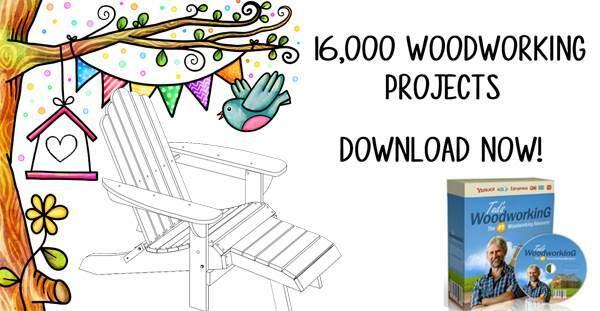 Select stain and durable urethane finish to protect the piece, or paint to add a colorful accent to any room. Many accent tables fold for quick storage when not in use. Other tables are easily disassembled when not needed. This is convenient for small houses where storage is at a premium. Select this style and always be prepared for unexpected guest or impromptu parties. 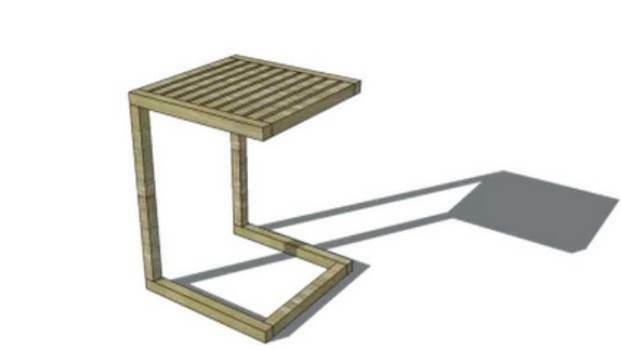 Here is an easy to follow plan for building a truss style table with just a few supplies. 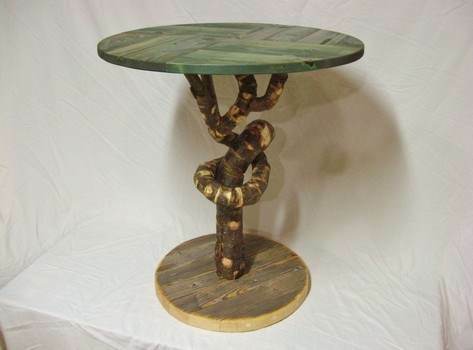 Just follow the instructions to make this unique side table with a knotted wood pedestal. 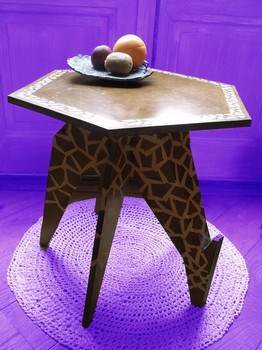 Build a skinny minnie table to showcase something tall and flat. 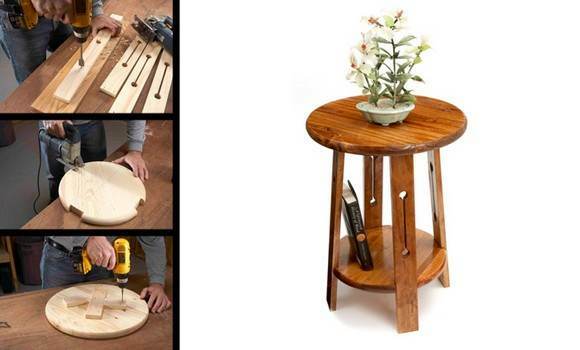 This three legged bamboo table is easy to assemble and takes little time and money. 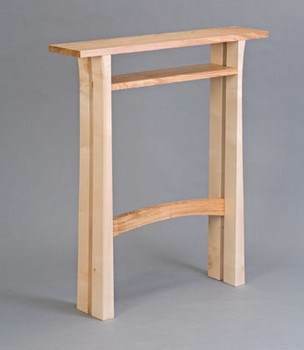 Build a table where the stand slides under a chair or bed for ease of eating or reading. 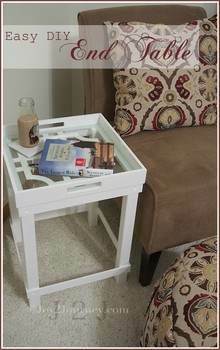 Create this lovely end table using a wooden tray, some glass, plus wood for the legs. 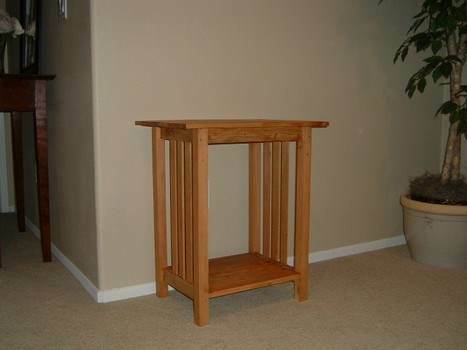 Here is a step by step woodworking plan with illustrative pictures for building a handy tray table. Once these knockdown table pieces are cut out they connect together like a jigsaw puzzle. 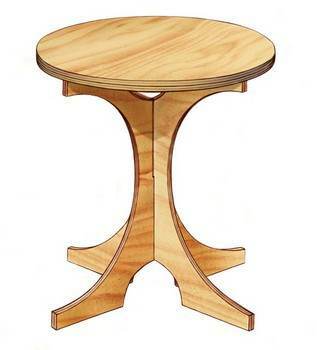 Build four oval shaped and fold-away end tables with stand using this detailed plan. 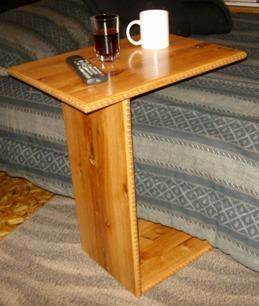 This round shaped craftsman style side table with lower shelf can be easily made using this plan. 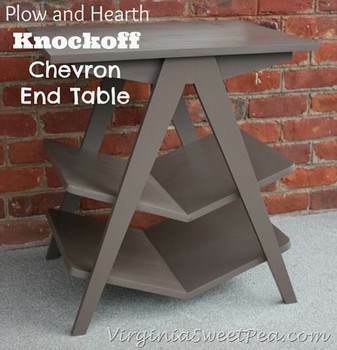 Build an end table with two "V" shaped shelves that are perfect for holding books and magazines. 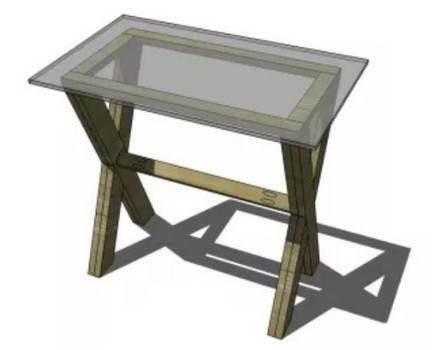 This woodworking plan requires a jig saw to create a giraffe table that can go in most any room. 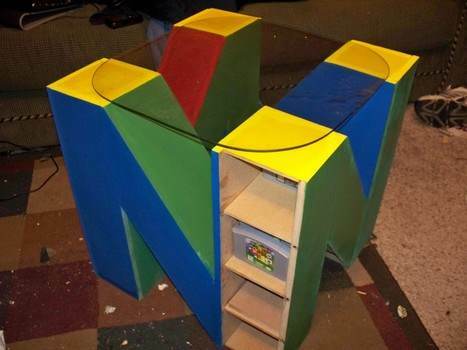 This end table is shaped like the letter "N", has a glass top and build- in shelving for games. 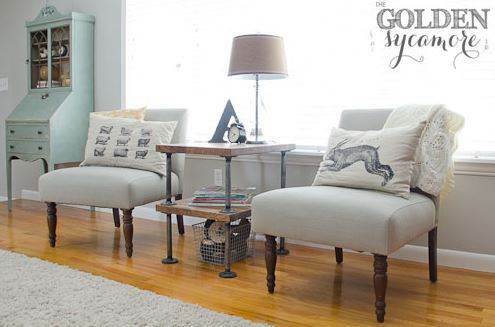 Create this simple round end table with a bottom shelf to place next to a chair, sofa or bed. 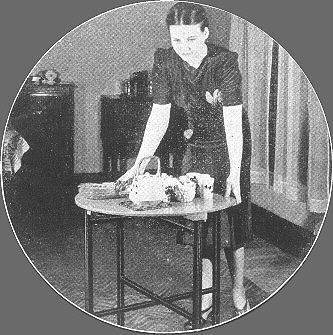 Here are diagrams along with instructions for a convenient tray table that works great when eating in bed or in front of the TV. 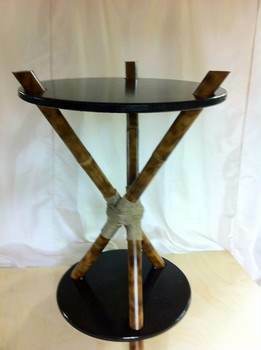 You can have a pedestal table built in a small amount of time just by following this simple plan. 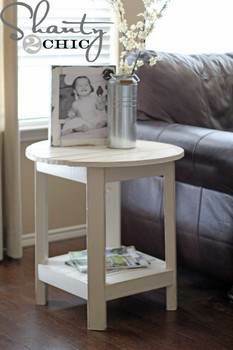 Build an end table with a glass top with these easy plans. 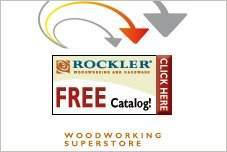 Attach galvanized pipe and floor flanges to butcher block for a one-of-kind side table. 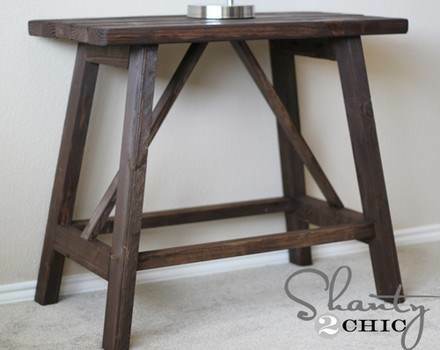 Save money by re-purposing old wooden pallets into a stylish end table with bottom shelf. Create an accent table that is perfect when an extra table is needed. Easy to fold and lightweight, this table comes in handy for entertaining inside or outside the home.